Editor’s note: This is the first of several stories published with the help of Dr. Frederick Simeone and the Simeone Foundation Automotive Museum in Philadelphia, PA. 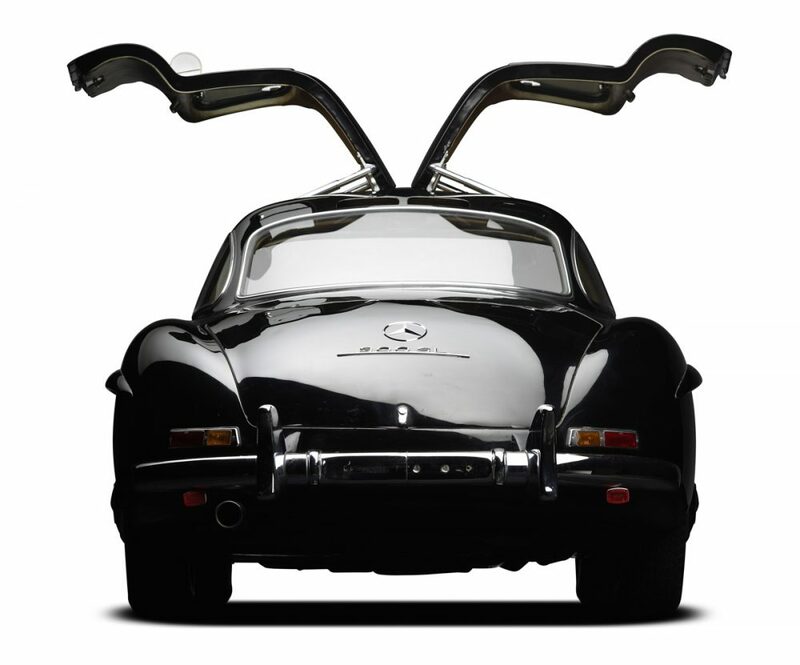 This tale is a look at two “Gullwings”—and their somewhat related histories. Back in 1970, with no Internet or regular magazines with large selections of collector cars, we often scoured the Sunday New York Times. It had an old car section full of great stuff, and most of it was local in the Northeast. I would read it religiously, but most of the cars were out of reach. There were plenty of Duesenbergs, but they were all over $50,000, and a medical student’s salary back then did not go very far. 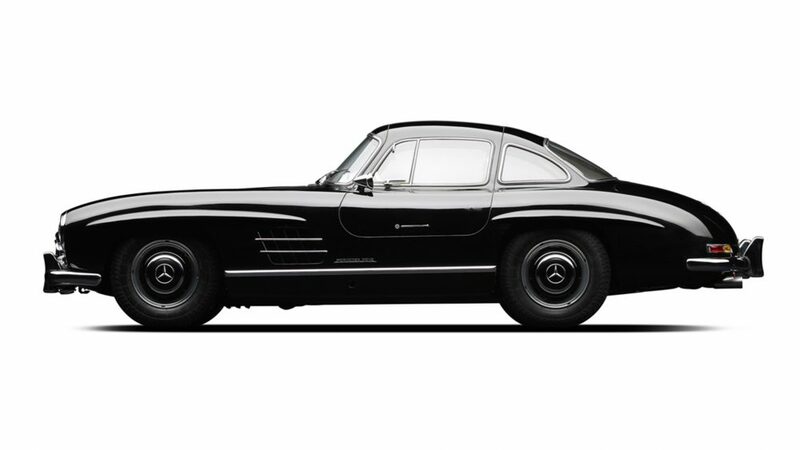 I wanted something more usable, anyway, and because of my enthusiast dad’s influence, whatever it was had to have a strong sense of history, sport, great design—and all the other things he taught me to appreciate in a car. Dad was a family doctor, general practitioner, and he was satisfied to work from a small office in our house, serving our community. He never made very much money. 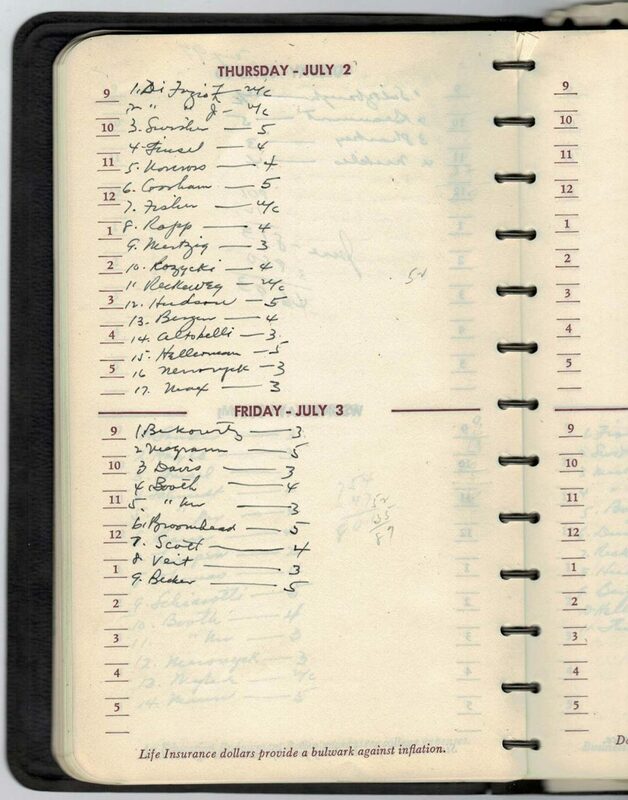 On this page, you can see a scan of his 1956 patient logbook—the only financial records he kept—showing how little you can make when averaging between $3–4 per visit. This typical page also shows how many people you could see in one day! Before office hours, we would do house calls. 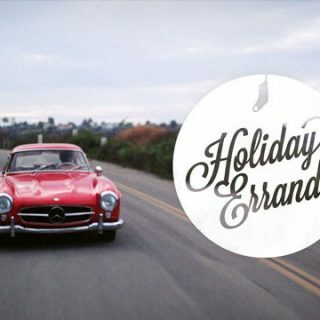 They were kind of boring for me back in 1956, but often afterward we visited local junkyards or used car dealers. At that time, interesting cars of the mid-1930s were only 20 years old, and even then he helped me to realize that the cars someday might be important. 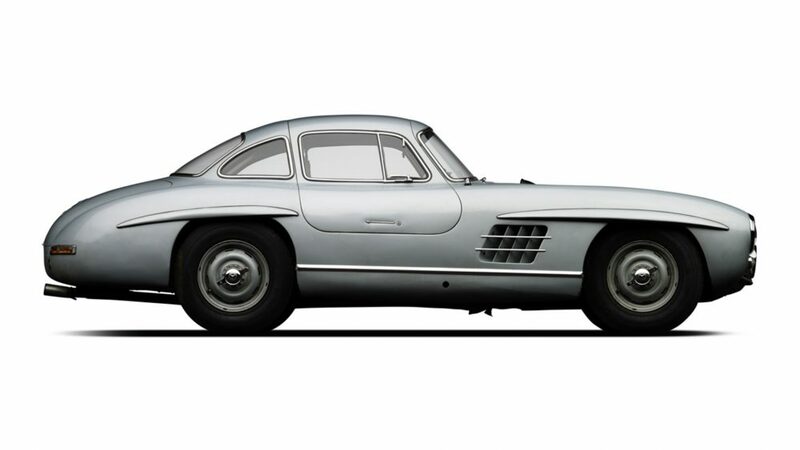 Then, as is the case now, cars with classic “sporting” lines are the ones that land in the hands of sophisticated collectors. 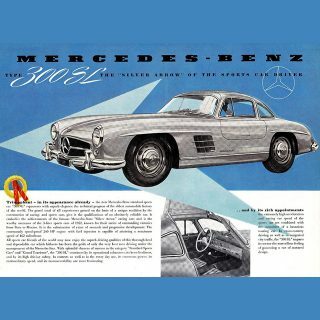 Anyway, back to the New York Times: I found an ad from a suburban gentleman who was selling his 1955 Mercedes 300 SL Gullwing, with less than 30,000 miles—fitted with Rudge wheels—in great shape. 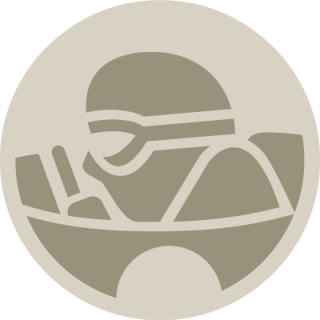 The owner, a pool builder, took the car in exchange for his work, only to find that his wife found the car too difficult to manage, hot, and not particularly useful for uxorial duties. At this time, fortunately, it was near the nadir of its value, so we were able to strike a deal over the phone: I had squirreled enough cash to pay the asking price of $3,500 in “green”. I called my girlfriend Jackie for transportation, because I knew I was driving this car home! 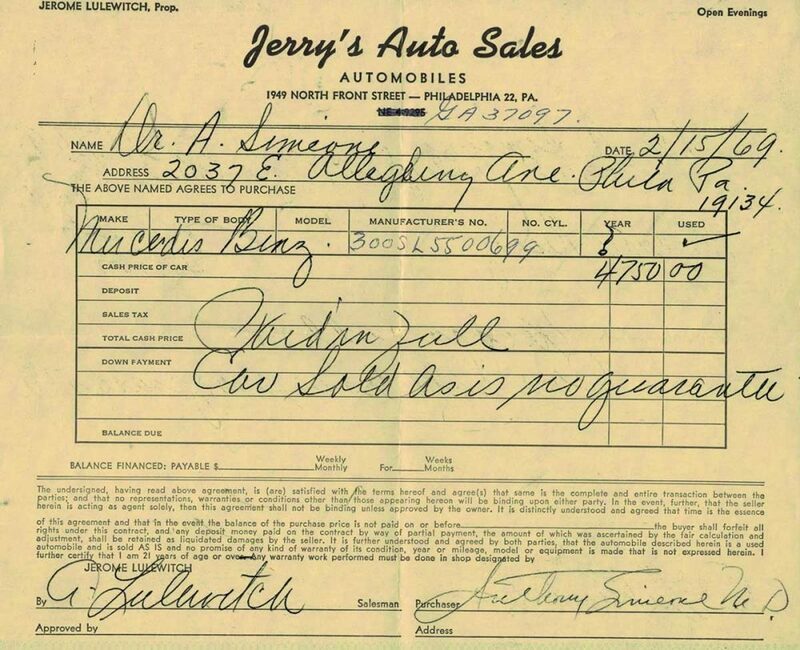 The deal was made quickly, and the car was—and still is—in excellent condition, having sustained no serious adversities in the ensuing years. Of course, I drove it everywhere, parked it on the street, and except for the pilfering of the Becker radio as it sat in front of a hospital I’d rushed to for an emergency, it has survived the last 4 1/2 decades in great shape. Dad never said much about it when I proudly took him for a ride. I could tell, however, that he had no objections to my choice—especially since I paid for it. As it turns out, he had a lot more fun with his car. 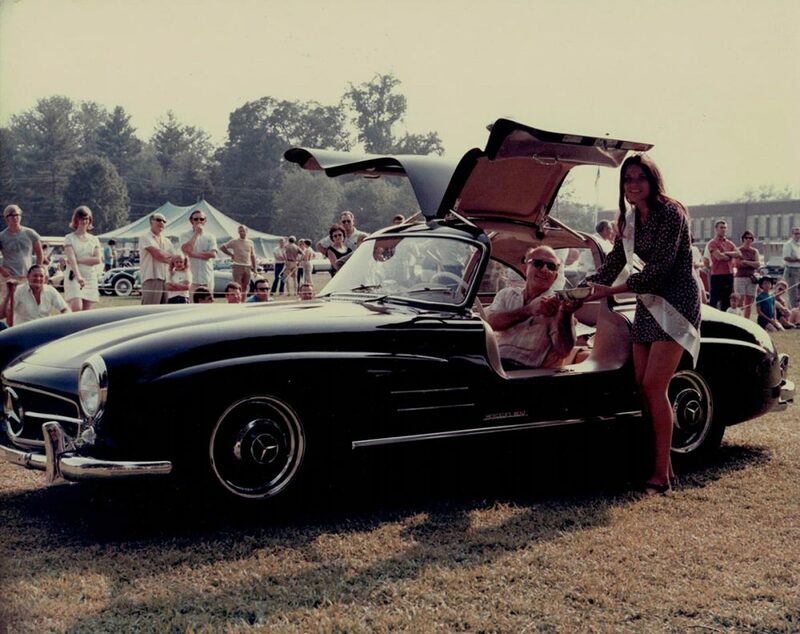 While I was consumed with medical studies, he was fixing up, taking it to shows, and, shown here, you see him proudly winning first prize at the New Hope Auto Show in 1971. After the sight of the car and the cheesecake, check the proud look on his face! 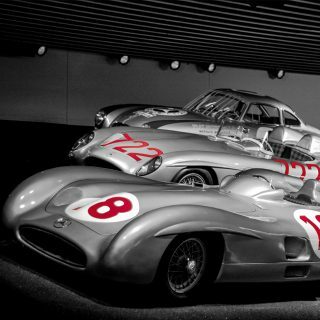 Both Gullwings are proudly displayed at the museum to this day. 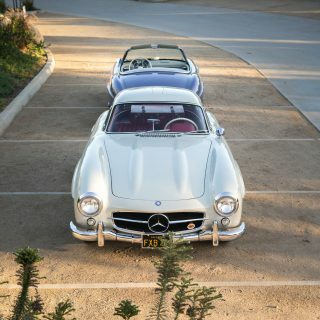 I bought a ‘nice Burgundy’ 56 speedster from the same guy in ’70 for $1100.00 …. What a story, thank you so much! Same deal here. In 1974 the doorbell rang. There was Bruce Meyer (still an old friend). 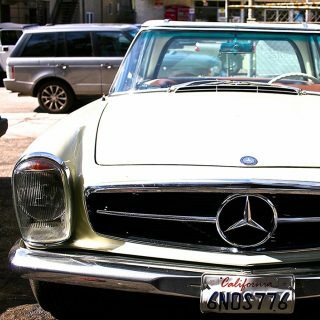 He stopped by in a 1962 300 SL roadster and asked me if I wanted to buy it for $4000. I said sure! I drove it and showed for a year and sold it a year and a half later for 15K! Wonderful story. Incredible that he still has them. I met Mr. Simeone at Pebble Beach this past August after he spoke on a panel about restoration versus preservation. Obviously, a very interesting man. Hello ‘Simeone Museum’, I had to look up ‘uxorial’, ‘nadir’ i had covered. So jealous. Many a Sunday afternoon racing down the interstate to beat another buyer. FUN, first with Dad and then on my own. 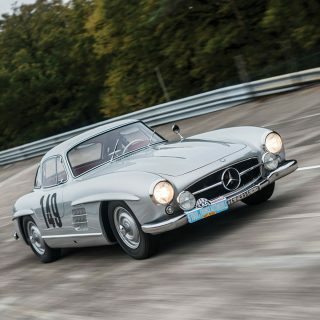 If I had the cars I bought that way… numerous Alfas, XK120’s, Sunbeam Tiger, and as a twenty year old kid a ’57 300SL cab with the engine apart. When I realized I didn’t even have the budget for the gasket set… I sold it on. A great story. I was at the New Hope Auto show in 1971 and remember the car very well. Somewhere I have a picture. If I find it I will scan it and send it to the author. Such a fantastic read! Thanks for sharing. Wonderful story. Back then the places to search for classics were the classifieds in [i]Road & Track[/i], where the ads were at least a month old, [i]Competition Press & Autoweek[/i], and the Sunday [i]New York Times[/i], as Fred says. 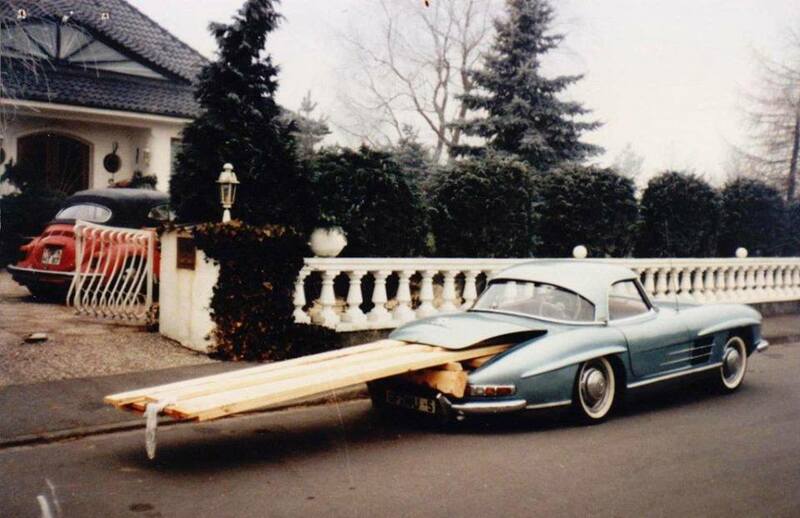 Cars were much cheaper. Life–and correspondence–was much slower. Sending photos meant taking them with a camera, driving the film to the drugstore, coming back in a day or two for the prints, and sending them by US Mail. oh we gotta’ see that!